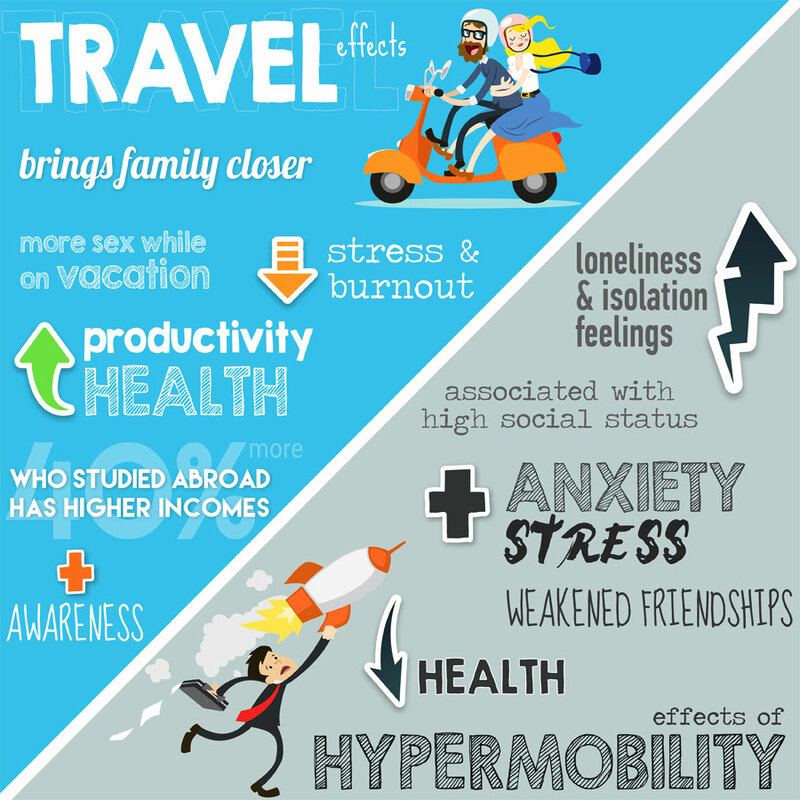 Tangible and intangible benefits of travelling are well known: it improves personal health while strengthening family relationship, it increases employees performances and happiness becoming a business investment with proven returns. But what happens when travelling strays far from leisure and becomes a necessity and/or a status symbol? Hypermobility is becoming increasingly common and so are its bad effects on health and relationships.